In a large tree, you may want to add a label display extra information that is not directly linked to a single individual, but rather to a section of the genogram. In GenoPro, use the Label button to create a new label. Double-click on the label and change the description. 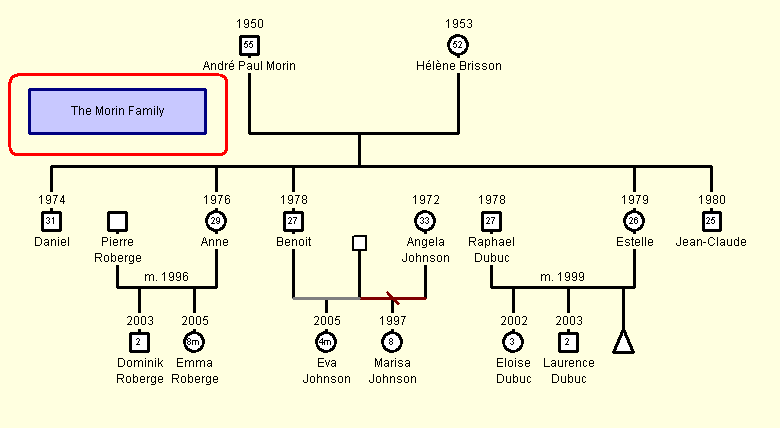 Example of a label to display the name of the family.